My youngest sister sent a picture of her dinner. 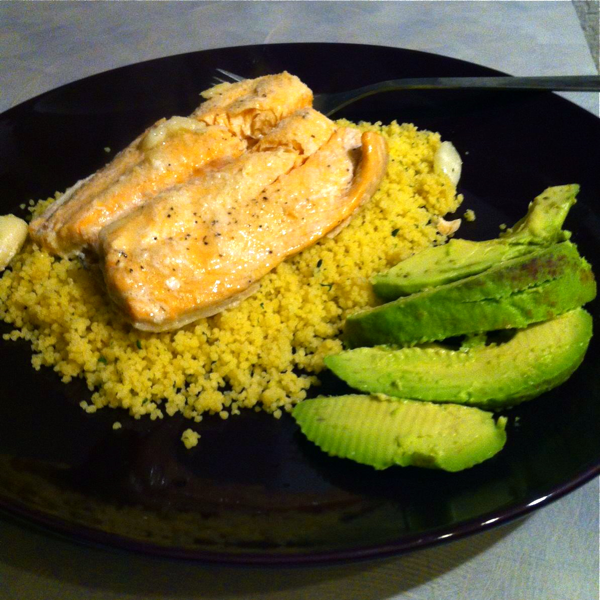 It looks like a nice piece of salmon over cous cous with a sliced avocado. My mom responded: Yum. I’m so proud of how nicely you cook for yourself. Good job!! I have no doubt about it- they’re my people! I want to read the exchanges Mom is afraid that you’ll post!